Last year, REI re-branded their great value touring bikes away from their own business name to a new standalone name, Co-Op Cycles. 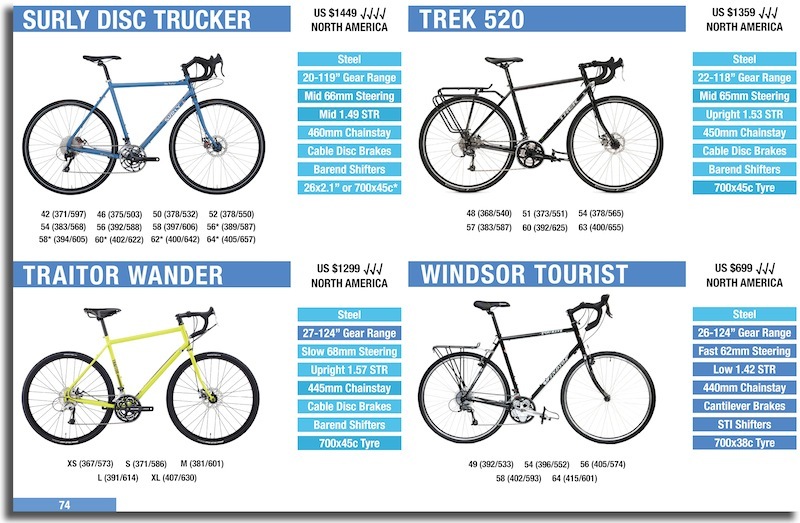 While this had little-to-no effect on the quality of their bikes or the pricing, it looks like it has allowed the brand to diversify their touring range for the new year. 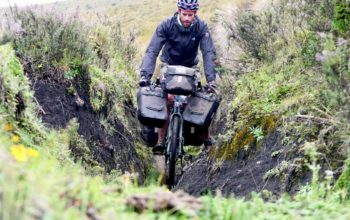 The 2018 Co-Op Cycles ADV 4.2 is an off-road adventure touring bike that uses ‘plus-sized’ mountain bike tyres that measure in at 27.5 x 2.8″. The tyres along with the rest of the parts on the bike make it ripe for off-road use, but equally great for sealed road riding with a set of fat touring slicks. 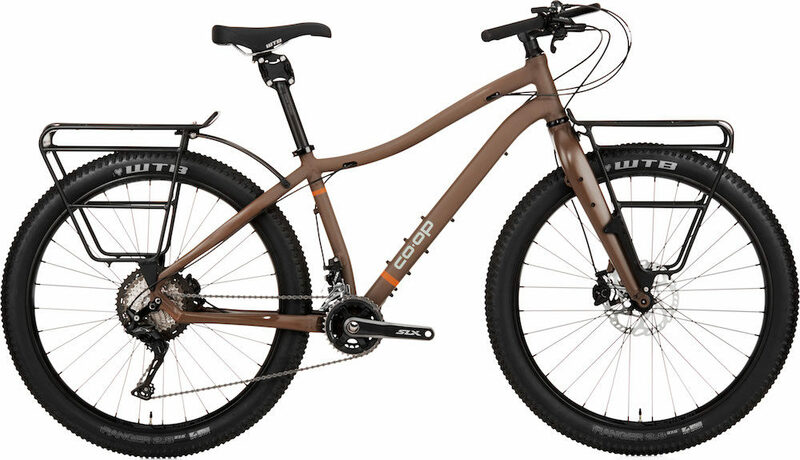 The 2018 Co-Op Cycles ADV 4.2 is an aluminium 27.5+ off-road touring bike that comes with front and rear racks out of the box. 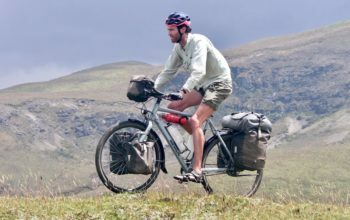 Like many modern adventure bikes, it uses thru-axles at the wheels to keep everything as rigid as possible, and it has a tapered headtube to give you the option of adding a suspension fork later on. 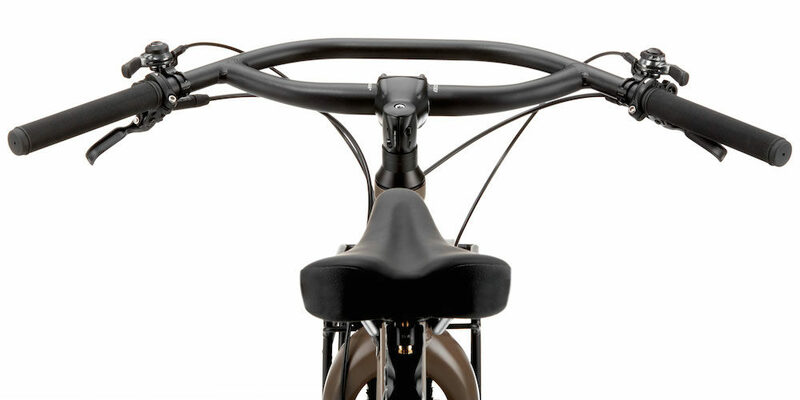 You’ll notice 3-boss mounts for cargo cages on either side of the fork, as well as above and below the downtube. Due to the rollout circumference of the fat 27.5+ wheels, the ADV 4.2 is actually interchangeable with 29 x 2.10″ wheels too. 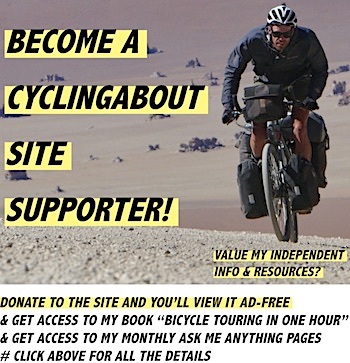 You could, therefore, have a second ‘road’ wheelset ready to go with 2.10″ slick tyres fitted, allowing you to succeed both on-road and off-road with just a quick wheel switchout. Alternatively, you could have a second set of super-fat slick tyres ready to be switched in, perhaps the Schwalbe G-One Speed or Super Moto X. 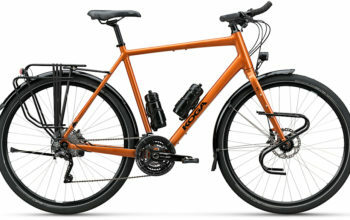 The Co-Op Cycles ADV 4.2 uses 22-speed mountain bike gearing to achieve some lowest gear ratios available on any touring bike. That’s due to the Shimano SLX 36-26t crankset matching up with an 11-46t cassette. 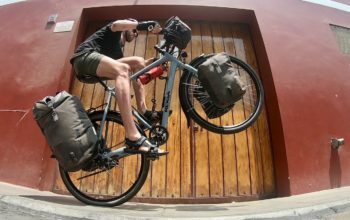 Even with the ultra-wide tyres, the gear range is lower than almost any stock bike on the market – it’s 16″ for climbing and is 93″ in the largest gear. For comparison, the climbing gear on the ADV 4.2 is over 20% lower than the climbing gear available on the 2018 Trek 1120 touring bike. You can almost be certain you won’t ever need anything smaller than this, as this gear allows you to climb at below 4km/h – any lower and you’re better off walking. The gear changes are made via thumb shifters. 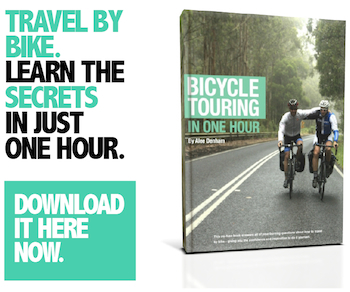 While these aren’t the latest in bike tech, they’re almost guaranteed to last as long as you do, and should the need arise, you can always run them without any indexing (manual gear shifts). 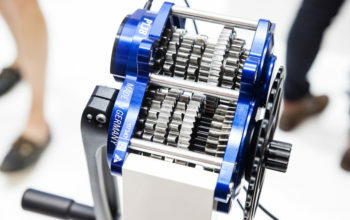 If you prefer mountain bike trigger shifters you can always add a set to the bike for not too much extra. The brakes are Shimano SLX hydros which have a great lever feel, good stopping power and are pretty well known for their reliability. The 2018 Co-Op Cycles ADV 4.2 uses Jones Loop Bars which are becoming a super popular alt handlebar. The loop design gives you lots of hand positions to choose from and the wide grip sections are great for off-road descending when it’s nice to have a bit more steering leverage. Up the back is a Cane Creek Thudbuster seatpost that uses an elastomer to take the edge off all of the bumps (they’re really good). 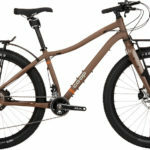 The ADV 4.2 will tip the scales at about 16kg (36lbs) and you’ll soon be able to get your hands on it at REI for US $1899.